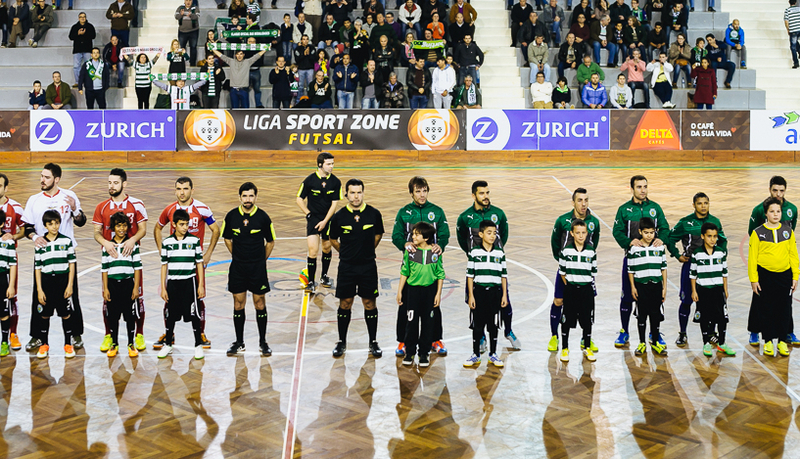 Last year I was lucky enough to be able to visit Lisbon to watch Sporting’s futsal team in action. Coming from the UK, where futsal is still a relatively new sport, trying to get a foothold on the already congested footballing ladder, the chance to see the game more established in Portugal was a rare treat. Sporting are one of Portugal’s best Futsal teams; last season winning the league and fending off a number of other professional and semi-professional teams, including their great rivals Benfica, in the process. Added to that, they also went to the semi-finals of the European Cup, and as recently as December 2014 they had 6 players called up to the Portuguese national team. In short, these guys are certainly in the elite level of the game, which made it a fabulous opportunity to chat with them and see what they did. 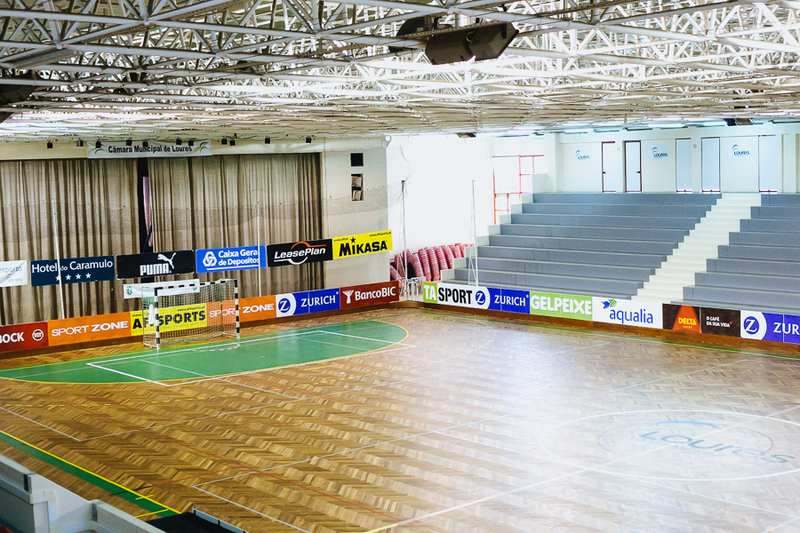 In this article, I want to share with you a couple of things that struck me about the set up there in Lisbon – and few brief lessons that I think futsal clubs around the world could learn from this impressive club. On the one hand its distance outside central Lisbon makes it a pain to get to, but it makes up for this somewhat in its down to earth charm. It’s a well used gymnasium with a proper wooden floor and gives the vibe of a place that has seen some genuine futsal battles over the years. It’s a nice venue to be playing Futsal in and on my visit it filled to about ¼ of capacity as Lisbon took on a team by the name of Vitoria dos Olivais in a league game. There could have been more fans at the game, but the 11-a-side team had a fixture in the north of Portugal and you will find that many of the Futsal supporters also follow the full 11-a-side team, which of course has a knock-on impact on the futsal attendance when the two sports collide. Even though their numbers today are modest, and it is a game that Lisbon are expected to win, their support is still fervent (bordering on fanatical – at least that’s how it appears to me). Watching the fans mill placidly into the arena, you’d have no idea that they were about to sing like crazy people throughout the whole of the game. Futsal might pull the smaller crowds, but the fans are no less passionate about this than they are about the 11-a-side team. Thought: Sporting’s Futsal club is so well integrated into the larger Sporting organisation that it looks like they get a lot of synergies from this relationship. The fanatical fan base that the 11-a-side team enjoys also provide a lot of support for the Futsal team as well. The futsal club, although it is a smaller operation than the 11-a-side team, still has a fantastic following of committed and passionate supporters – . It seems that they really identify with the futsal club as being part of a wider organisation that they support and the club make this easy for the fans, even by the futsal team wearing exactly the same kit as the 11-a-side team. It left me wondering if the game’s development could really be helped in the UK (and elsewhere) by futsal clubs affiliating to major Premier League teams – even a small proportion of fans being interested in also supporting the futsal team would help massively in growing the crowds attending games, and the expansion of the league. Sporting is a club similar to Barcelona (another major football club which also has its own futsal club). It is a sports organisation (Sporting club de Portugal is “sporting club of Portugal”) and, rather than just being a football club, it provides sports and recreation across a range of disciplines. It has everything from the famous 11-a-side football team, to running and athletic clubs, all under the banner of one club. It’s not just a football club. 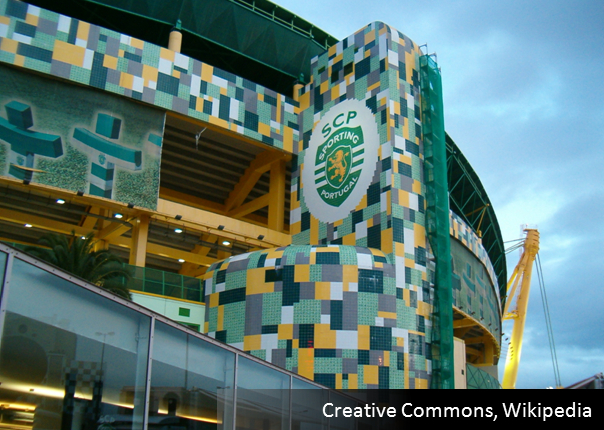 Just like Barcelona’s ‘mes que in club’ motto, Sporting really is more than a club. It’s an ideal, a striving for all people of all ages to engage with sport and its many benefits, whichever discipline they prefer. It’s quite unlike any organisation I’ve ever seen in the UK, and its lofty aims stand to me in contrast at some of the major football clubs that could do so much more, but scrape along the bottom as far as our expectations go of what they could do for their communities. By the way, the club are trying to move away from people calling it ‘Sporting Lisbon’ as that’s not really the name at all. Instead, impress your Portuguese contacts by simply referring to it as ‘Sporting’. I ask my host, who is connected with Sporting’s organisation if the vast nature of the club means that the high-revenue sports end up subsidising losses for the lower-revenue sports. “No, all sports make money” is the reply. It’s a way of thinking that really impressed me. Profit isn’t the objective of the organisation, but Sporting are clearly very smart about they way they run the various streams of the club. They have to be, it’s the only way to run a sustainable model for the organisation. So whether it be through sponsorship, charging for lessons, clubs and recreational use, each sport is targeted to be able to fund its self. Thought: Obviously Sporting has some advantages through its economies of scale, but the way that they think about finances is a lesson that I think other clubs could really use. There are a lot of clubs out there that are put off by seemingly insurmountable costs. Whist these can be serious barriers, perhaps the solution in getting a successful club going is to focus more on how that organisation can make more money rather than just dwelling on the cost side of the equation. A club’s ability to offer lessons, clubs, recreational leagues and other services to the public not only generates revenue, but strengthens support for its overall aims and develops links with the community. Seeing a club like Sporting up close has been a real eye opener for me. To my mind, there isn’t a club quite like it in the UK at the moment. That’s not to knock the efforts of our up and coming futsal clubs here in the UK, that wouldn’t be a fair comparison anyway – the game has had so much less time to get established on these shores. But it is fascinating to see a club so plugged in to the mainstream football, both harnessing and even increasing the affiliation that fans have with their football club. The futsal club isn’t dependent on the football club; it’s expected to stand on its own two feet, but the affiliation between the two forms of the game within one club is something that I think is worth exploring here in the UK as a possible way to take the game forward. Who knows, as futsal continues to rise in popularity over the next decade, the football clubs might start to cotton on to this and give futsal the drive forward that it thoroughly deserves.